A tunnel has been started beneath Los Angeles that could allow self-driving cars to hit 155mph. Feel free to leave your Need for Speed: Underground jokes in the comments. Elon Musk has unveiled that start of what he’s calling the Loop, built by the brand we can’t help but smile about every time we read its name: The Boring Company. 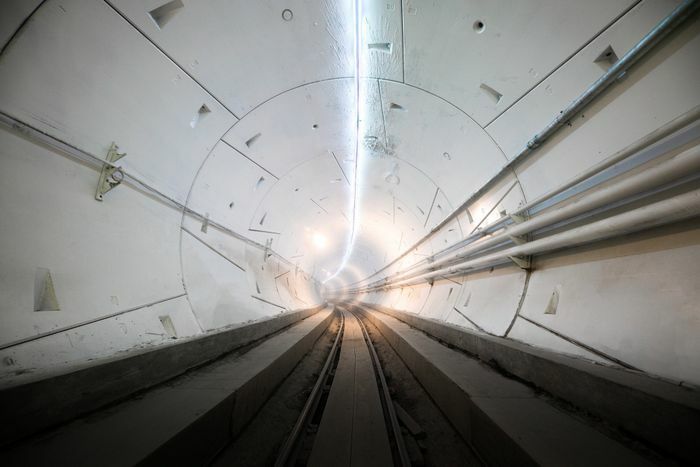 It’s a 6000ft (1.1 miles) tunnel wide enough for a single vehicle to travel at up to 155mph. It’s also pretty Spartan. Try hanging a picture or two, Elon. Next step for @BoringCompany Loop is demonstrating high throughput at high speed. Target is 4000 vehicles/hour at 155mph (250km/h). That’s still some way off, in truth. 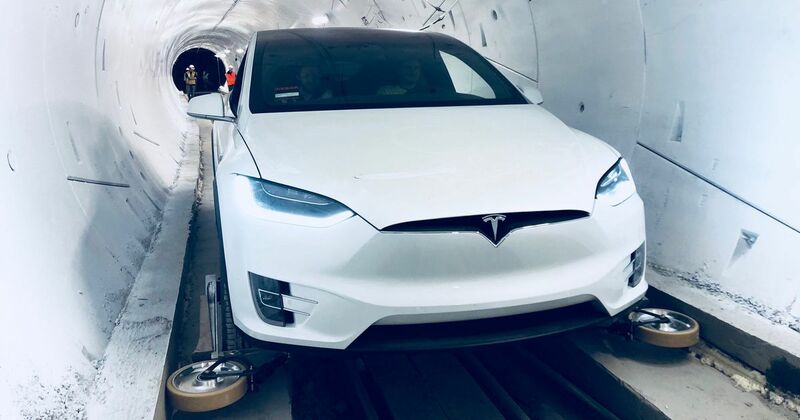 The track inside the first mile isn’t up to final specification and is far too bumpy even at the 40mph that guest media and disciples of Musk were chauffeured at during the Loop’s preview ceremony on 18 December. Plus, a mile isn’t long enough to safely get a typical 155mph-capable car up to and down from that speed anyway. The principle involves modifying self-driving cars with extra wheels, much like shopping trolley casters, on each corner. These retract beneath the body when not in use but emerge when approaching the Loop and descending one of its lifts onto the track. The casters locate against the sides of the track and guide the car securely. Better hope they never break. With no pedestrians, no traffic jams, no junctions and no particular dangers to consider, the target is to run 4000 cars through the loop per hour at 155mph. The obvious point to make, here, is that not all self-driving cars will be able to achieve that speed. The system’s only options will be to slow all traffic following a dawdler down, or to deny slower cars access to the Loop altogether. The 1.1-mile stretch cost $10 million, which, according to industry experts, is an absolute steal. Being so relatively narrow means the structural challenges and safety considerations for the ground/property above it are vastly reduced. Musk’s intention is to keep boring until the tunnel reaches right across the city and has access points throughout. Lifts at each end destination will take cars back to street level where they can drive away having just saved – potentially – hours on their journey. Initial public operation is targeted for 2019.